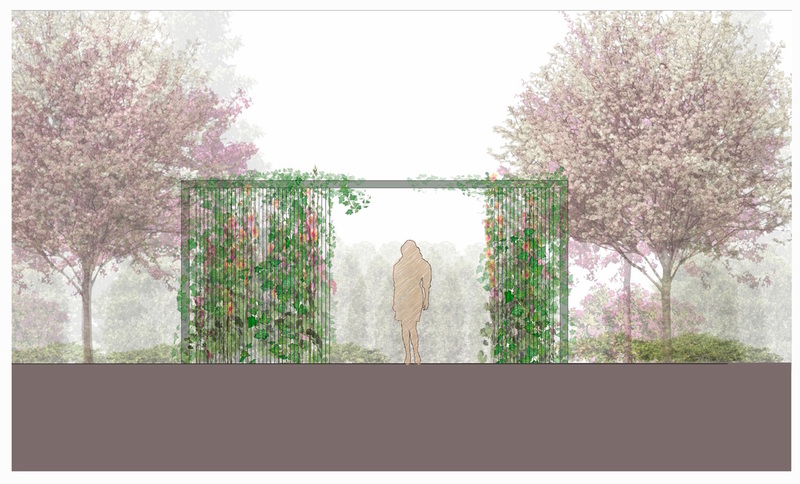 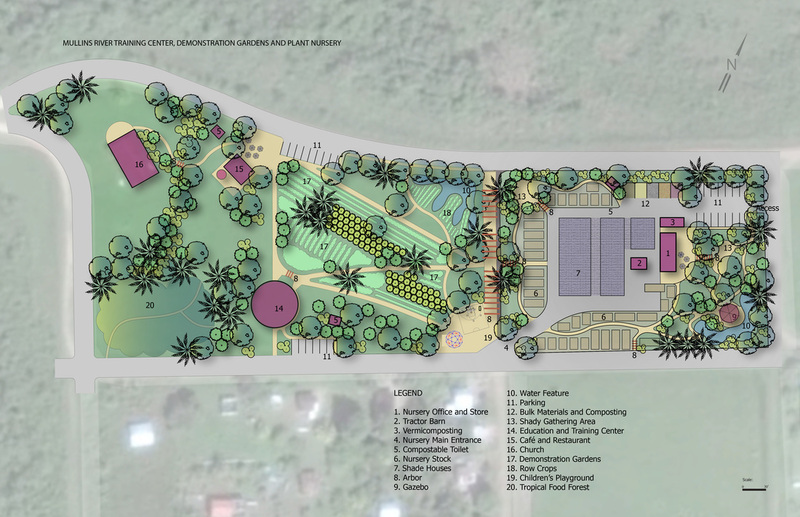 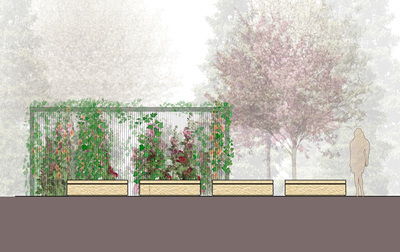 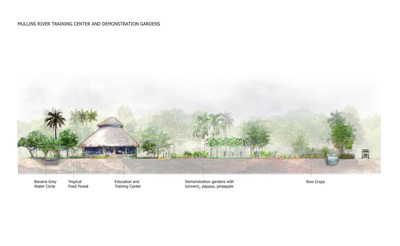 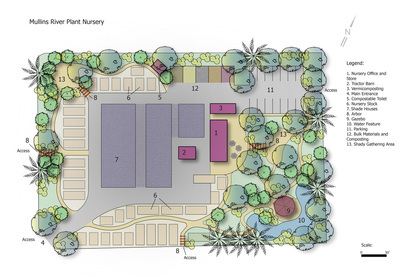 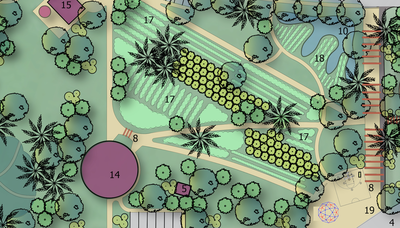 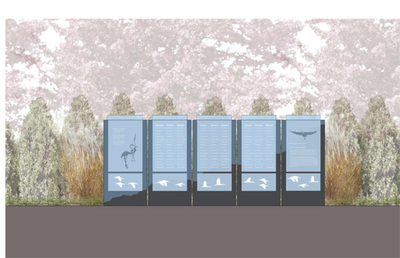 I had the pleasure of collaborating with Jenny Pell on this project and created renderings of an Education center with permaculture demonstration gardens. 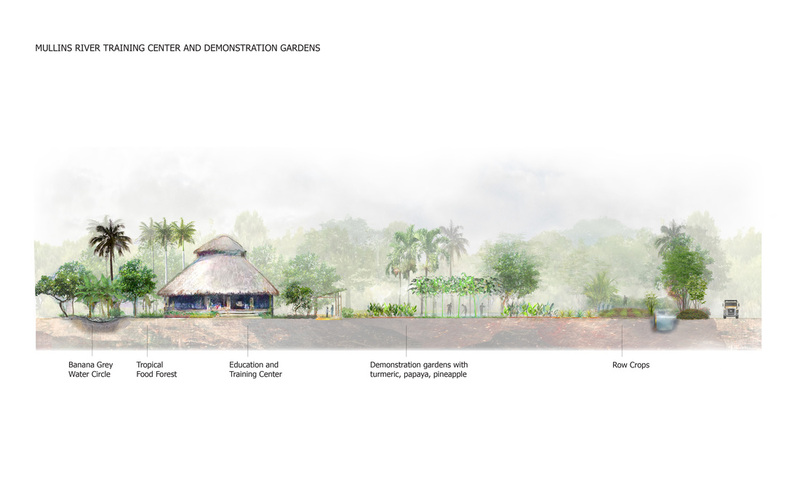 The details include a plant nursery with garden area, a section view of an arbor with edible plants and section views of the training center. 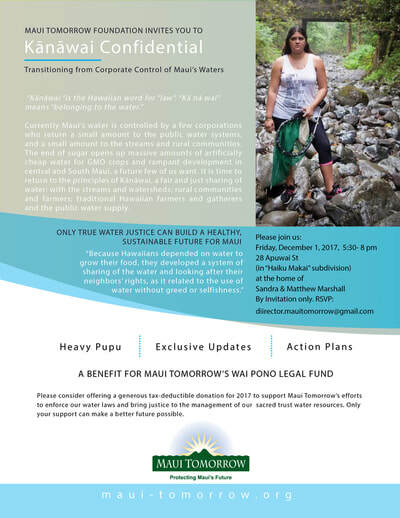 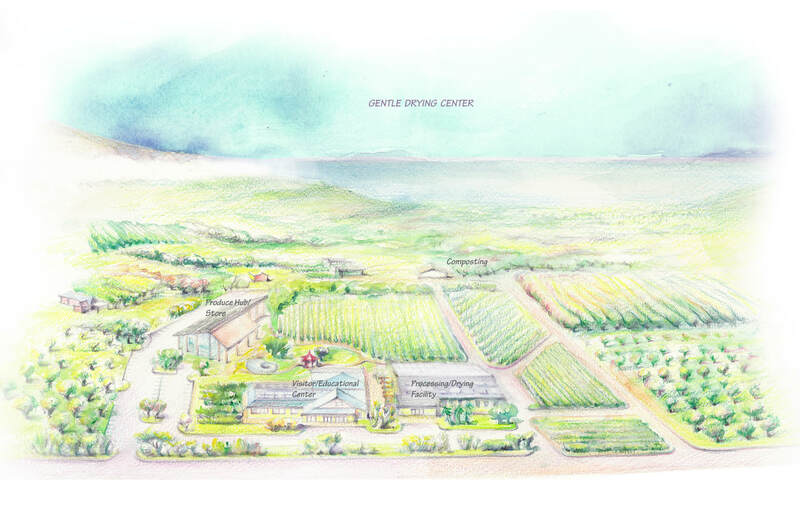 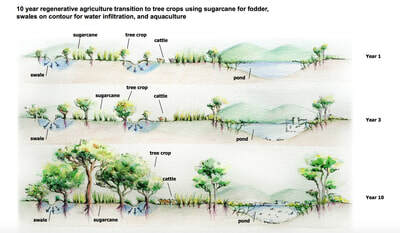 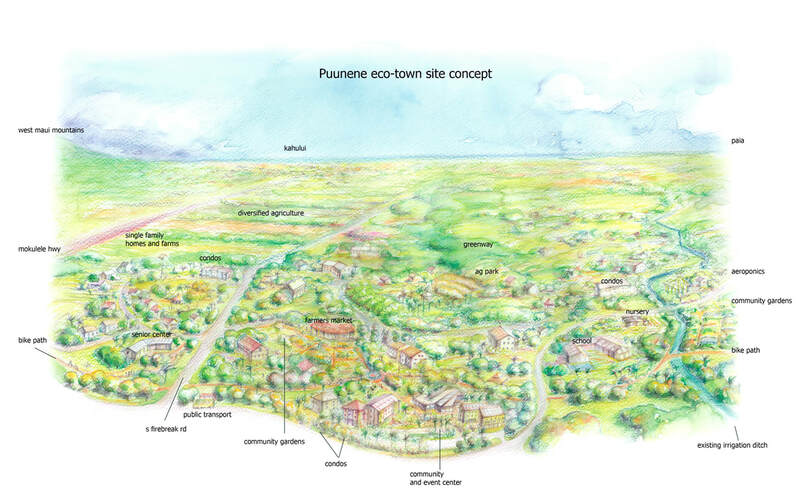 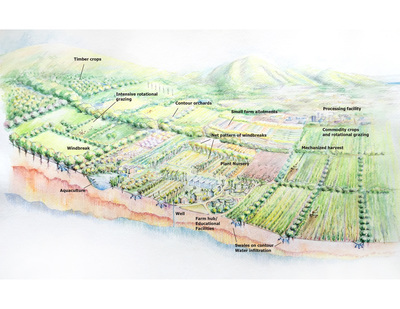 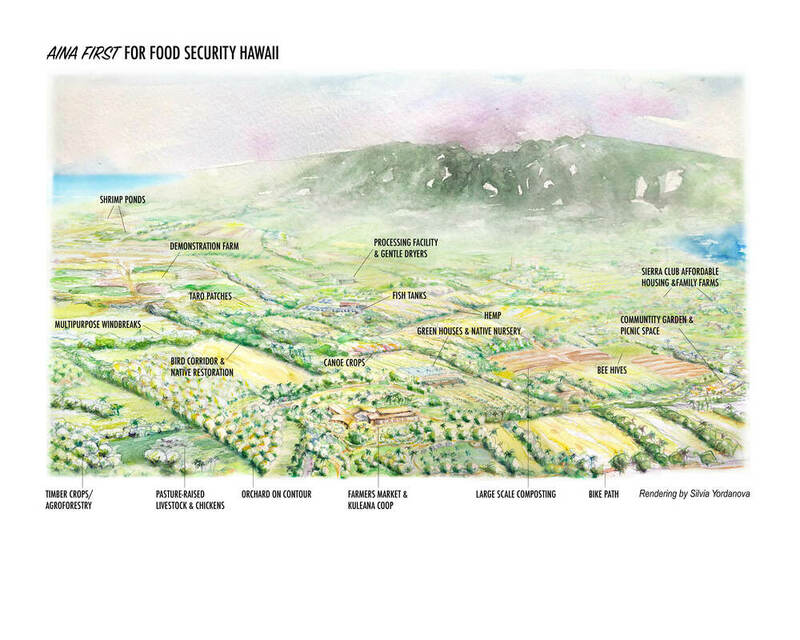 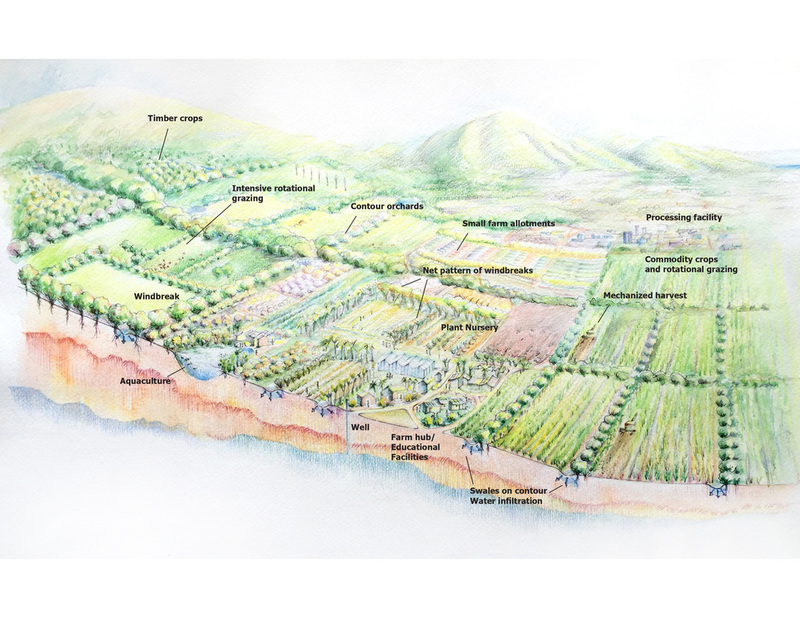 I collaborated with organizations such as Maui Tomorrow Foundation, The Sierra Club of Hawaii, Aina First and Just One Organics over the last few years, to create these renderings and expand the vision of what is possible for regenerative agriculture on Maui. 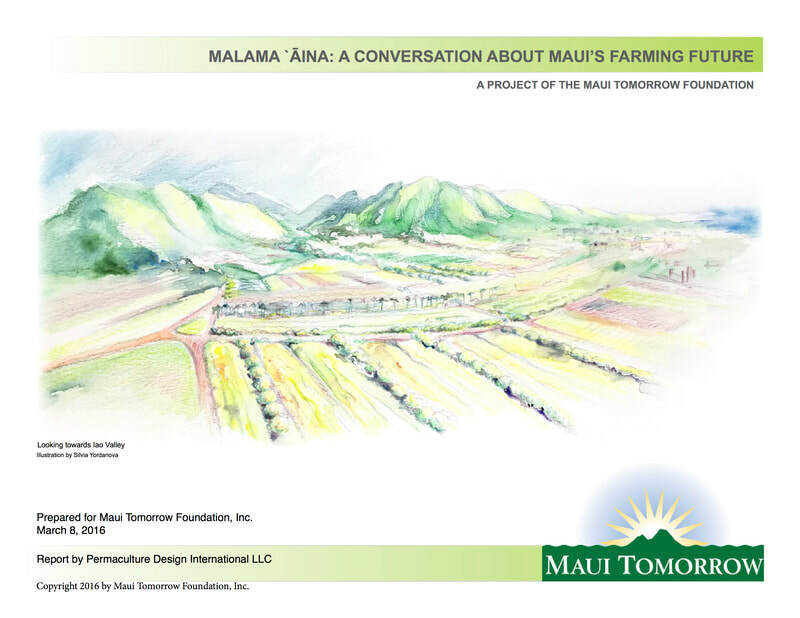 The Mālama ‘Āina Report was released to start the conversation about Maui’s Farming Future after the end of the sugar cane operations in 2016. I collaborated with Jenny Pell on this project, showing the potential of what the Sugarcane mill could become. 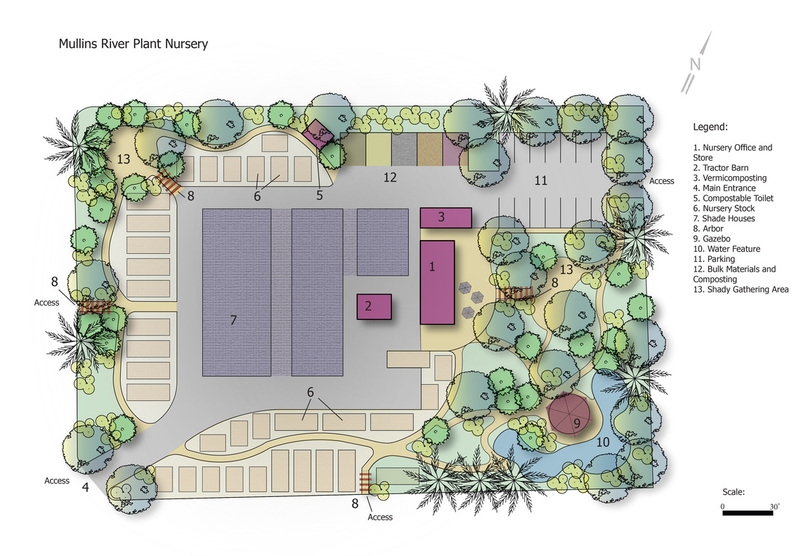 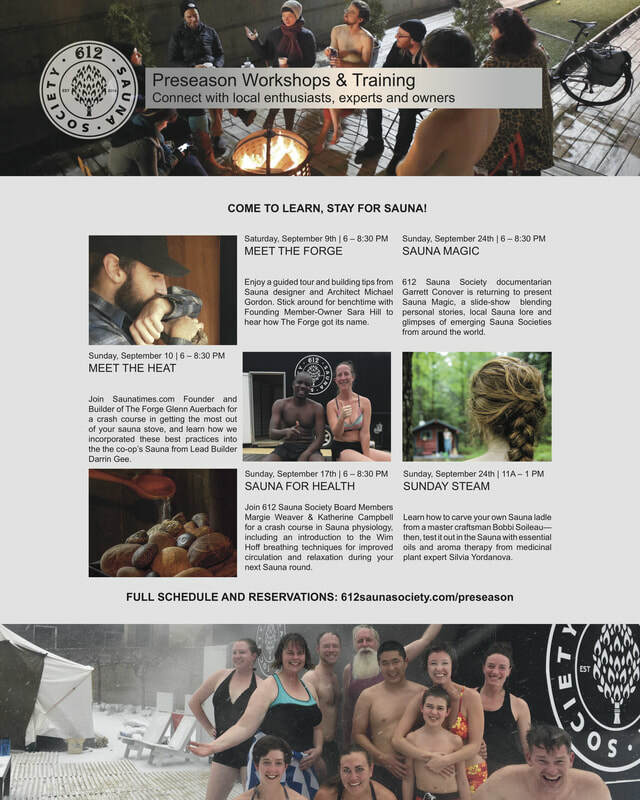 ​My vision rendering is presenting the Sugar mill as a hub for all kinds of businesses and activities, such as a coop and farmers market, farm to table restaurants, art lofts, education center, agriculture-tourism etc. 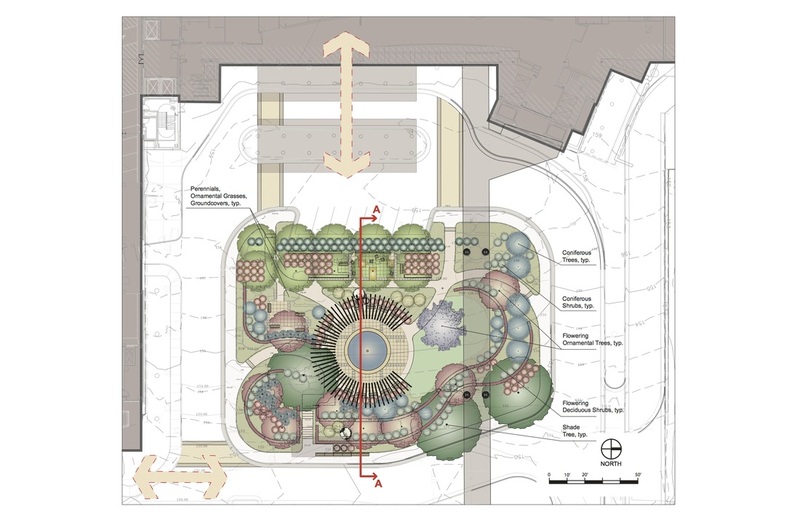 A plan view and sections of a courtyard showing a resting place for patients and staff members. 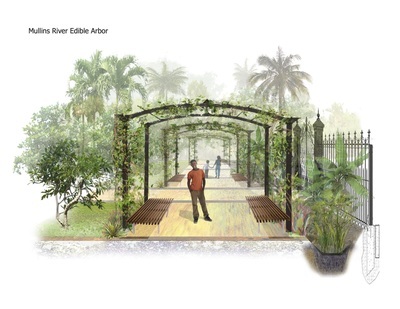 Visitors are embraced by lush vegetation in a quiet and peaceful setting. 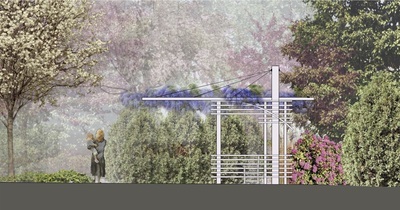 A small water feature provides a subtle natural sound in the garden. 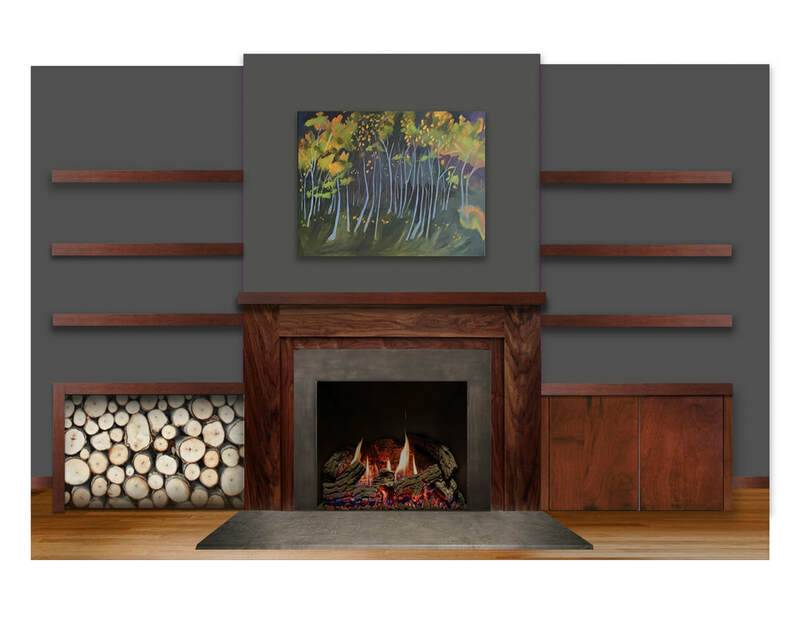 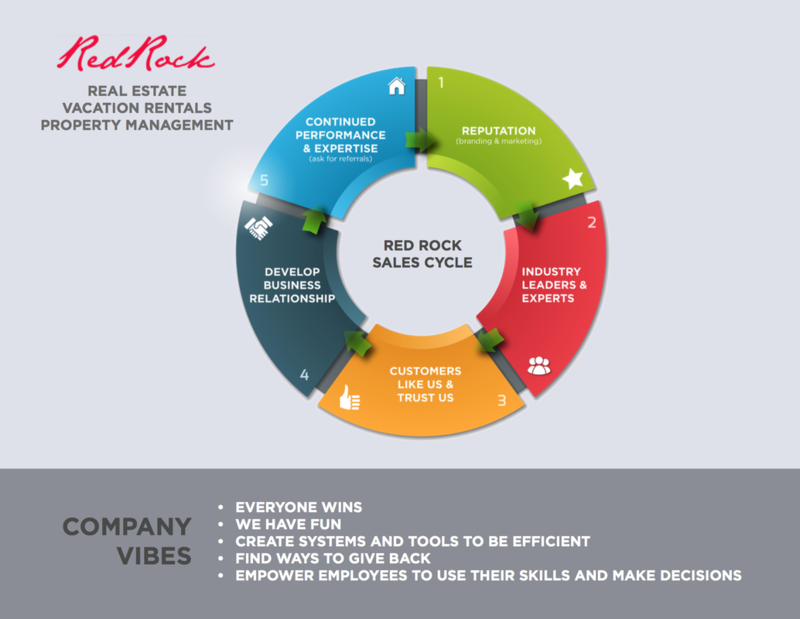 I enjoy versatility across media and the range of working with small business owners and corporate clients for the diversity of projects and experience.